The other was one of our newer customers that has been using Infusionsoft for years and we’re doing a massive cleanup of their application. Spend some time reviewing the backend of our new site so I know how and where to tweak things. I haven’t given it enough time yet. WIN – Get caught up with emails after being out of town. I have several hundred to go through and just hate the feeling. WIN – Share some key strategies and takeaways I had from the conference to try and implement some of the changes. In particular, a testing framework for ideas. I’ll share more about how we’re going to do this when we have something in place. FAIL – Hoping to get the new designs at least 75% of the way complete by the end of the week as well. Which means I’ll be working closely with the designer to provide feedback. $31k MRR – We had a couple losses on the DFY side of things which weren’t too surprising. One was a login authentication service that verified a user by using a selfie. So that went about as well as you could imagine. Really feeling burnt out on the customer management portion honestly. I am just not enjoying the operational management and customer communications on the done-for-you side of things. I think part of me knows we’re going to be “end of life’ing” the service side of things and mentally I’m just there already. It is really taking away my ability to grow and market, which is who I am at the core. The service side just appeals to a different type of customer than our target market on the software side (which is sales managers). This all being said, 2016 is really going to be a focus on the software and dialing that in. Version 2 is not yet at a point where I can test. That said, we set a tentative launch date for it for Jan 23rd. This is still a little ways away, so it might end up being a moving target, but I think it’s possible. Made progress on the app design. The existing app has been completely re-designed and we’re now moving onto the V2 elements. I’m getting more and more excited. I also posted for an html/css coder to take the designs and get them into something usable for my dev team. Spent several hours with the team going over pricing. Not even the cost, but how to structure this within our app going forward. You would not believe how complicated this is to factor in per user pricing, with a value like number of prospects on each tier. That part is easy, but then you have to start thinking about sales manager roles that don’t get charged, if they add users half way through the month… how does that effect commissions if we pro-rate it, what if the sales manager person/admin quits, how does that get handled? So many scenarios, I couldn’t believe how much time our team spent going through this. Michael and I put together a power session Thursday working on our content plans for 2016. The NeuYear calendar I purchased came in handy for this also. We came up with a content framework for how we’re going to schedule and produce content consistently and put specific content pieces on the calendar. 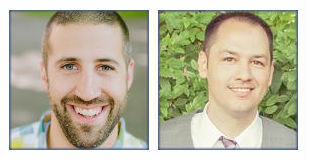 We’ve really dialed in our focus of sales managers and have a bucket of content topics now that cater to that audience. LeadFuze officially turned one year old this past week! Unplug for Christmas and then staying at a cabin with some friends the week of New Years. 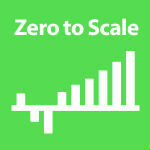 Zero to Scale Insiders – join us for just $19/mo! If you’d like to take your entrepreneurial journey to a whole new level, join fellow “scalers” on the inside by joining the Zero to Scale Insiders program. For just $19/mo you get access to Justin and Greg and several other like-minded entrepreneurs who want to help you succeed in your journey! Be sure to join our free Facebook group for continuous discussion and let us know your thoughts on today’s podcast.